We were truly enchanted when visiting a customer yesterday on the border of Hampshire and Wiltshire. They showed us their beautiful ‘Bluebell Wood’, just a small part of their magnificent garden. The Perfume of the Woodland Bluebell filled the air and was only matched in majesty by the Birdsong. The National Trust has said that bluebells were likely to be at their peak this coming weekend. With March being so dry it could also mean that the Bluebells are smaller and less abundant this year. However, the bluebells which do flower will produce even more perfume than usual. The reason for this is that flowers concentrate more energy on breeding during a dry period rather than on producing succulents. They will produce more nectar and therefore more scent in order to attract pollinating insects. Bluebells are sometimes called ‘Common Bluebells’ but they are anything but common. This spectacular plant is only found in northern Europe, with Britain containing more than half of the world’s population. They are a protected species in the UK and a woodland carpeted in masses of bluebells is one of the most magical and one of the greatest woodland spectacles you can see. A bluebell wood in full bloom is a true delight for all your senses. As you wander through a wood with dappled sunlight kissing the flowers and their scent wafting through the air, it is nature at its best. This is a quintessential British sight during the spring months. It lets us know that the days are getting longer, warmer and that Summer is on its way. When Bluebells transform our woodland in springtime, the carpet of intense blue under the tree canopy stretching out into the distance is a scene full of delicate fragile flowers. A beautiful sight that once seen will remain with you for ever. It will come as no surprise that the British bluebell is one of the nation’s best-loved flowers. How can we describe the fragrance of the Bluebells? The olfactive profile of the Bluebell is reminiscent of the Hyacinth. It is not a very strong fragrance but it becomes very noticeable when walking through a woodland covered in Bluebells. We describe it a green-floral, as it is oily-green and quite intoxicating. Bluebells are not part of the ‘white flowers’ category (Jasmin, Orange Blossom, Tuberose, Ylang, Gardenia,…), not because of their colour but because they have a richness, headiness and depth that is more reminiscent ‘red flowers’ category (Rose, Violet, Lilac, Sweet Pea,…). Some perfumers believe there should be a ‘green floral’ category for flowers such as Lily of the Valley, Narcissus and Hyacinth. This is where we believe the most natural home for the Bluebell is. For Home Fragrances, we can highly recommend Pairfum’s White Lavender which contains the beautifully green notes of Bluebell and Hyacinth. 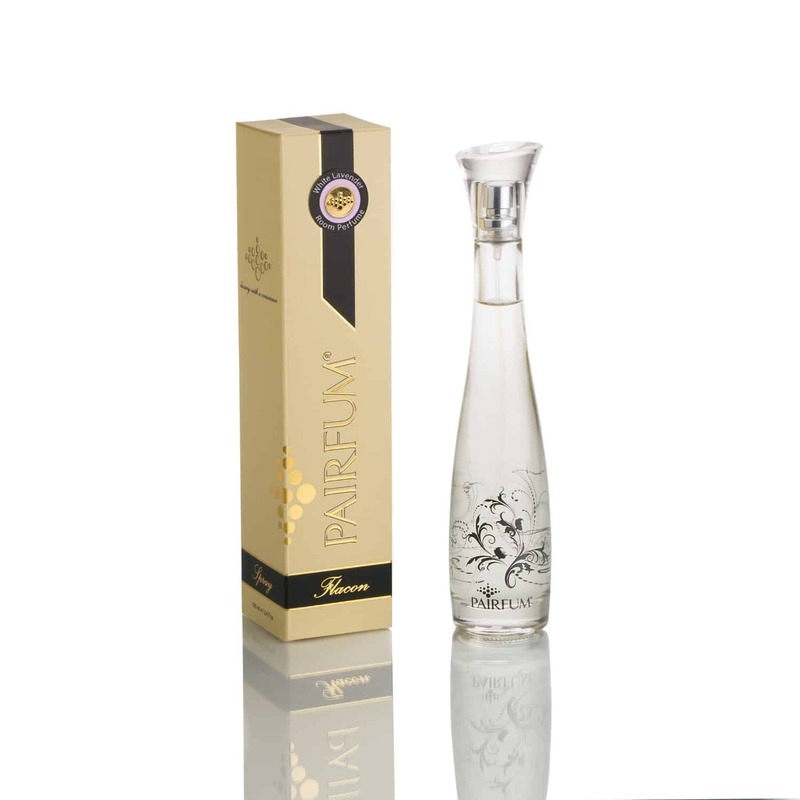 It is available in perfumed candles, reed diffusers and perfume room sprays. How can you tell or spot the difference between a Native Bluebell and a Spanish Bluebell? One of the ways that you can tell the difference between the Native and Spanish flower, is that in the Native Bluebell the pollen is white, whereas in Spanish Bluebells, the pollen is blue. In the hybrid Bluebell, a variety of characteristics are exhibited which are intermediate in form and a colour between both ‘Native Bluebell’ and ‘Spanish Bluebell’. In other words the hybrid Bluebell exhibits characteristics of both parent plants. Their wonderful scent is said to have 35 components which attracts pollinating insects deep into the woods.